A runner's favorite season after season, the Adrenaline GTS 15 from Brooks is smoother and smarter, and willing to go harder and farther. The GTS 15 is the perfect blend of award-winning fit, combined with superior stability and superb heel-to-toe transition. The GTS 15 hits the sweet spot, soft enough for high-mileage training, yet firm enough to remain stable on the toughest courses. 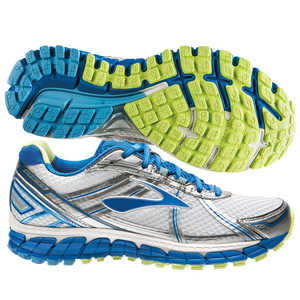 Go the distance like a champ with the Brooks Women's Adrenaline GTS 15 run shoe.